NetSuite is the best choice for growing start-ups whose IT landscape is yet open and flexible. NetSuite is ideal for new companies as it allows minimal adoption of point solutions by the functions and departments. Tight budgets being the most common aspect of start- ups, with NetSuite the accounting can be small but focused while additions can happen in the business space, namely sales and engineering. NetSuite possesses industry-specific functionality with built-in business process flows, value-driven dashboards and KPIs tailored to your industry. The primary objective of NetSuite is to provide a clear, granular view of your spend and revenue. Whether it is about progress from purchase to pay or conversion from lead to cash, you will have a clear picture of what to expect from Finance day on day. Since managing money is the most important for a start-up, NetSuite is the best technology to rely upon. NetSuite not only provides a clear picture of spend and cash flow, it also helps your business with end-to-end processes that give you a comprehensive view of growth at every stage. If you provide your managers with the performance metrics they need for tracking efforts and results, you no longer have to wait until month-end close to see outcome and results. The dashboard presents results as and when data is obtained. With such a robust and integrated system, all departments work together progressing towards reaching the same shore. As a cloud based solution, NetSuite’s benefits are immense. It completely eliminates on-premise IT expense and further ensures your software is constantly current. 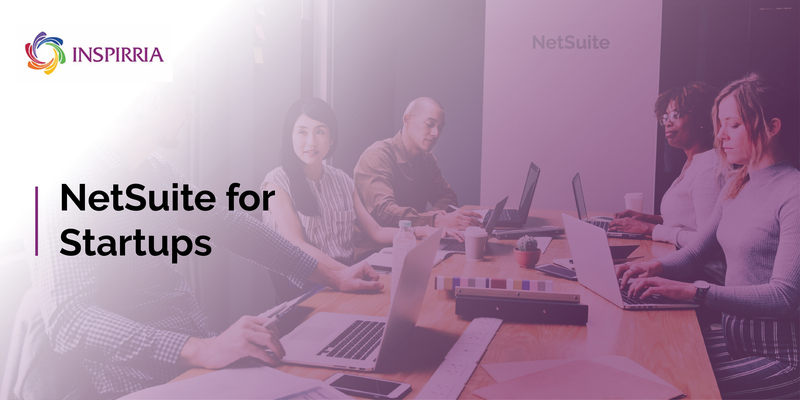 With NetSuite as a cloud-based solution, a company does not require to acquire or manage any new hardware nor install and manage software on every user’s equipment. Access to a cloud-based CRM platform is handled via any web browser on any Internet-connected computer or with a mobile app on a handheld device. NetSuite is a `one unified business management suite’, encompassing ERP/Financials, CRM and e-commerce that grows with you at every stage. It presents a simple and fast method to access, collect, modify, store or share pertinent information in the most smooth and speedy ways possible. NetSuite is an excellent tool for any start-up that is eager to get on the right track and stay there. Connect with our experts to learn more about NetSuite as the best solution provider for a start-up of any industry or sector.